Looks like we'll have to wait a bit longer for the GOP counterbid to the Democrats' payroll tax cut. Moderate Sens. Susan Collins (R.-Me.) 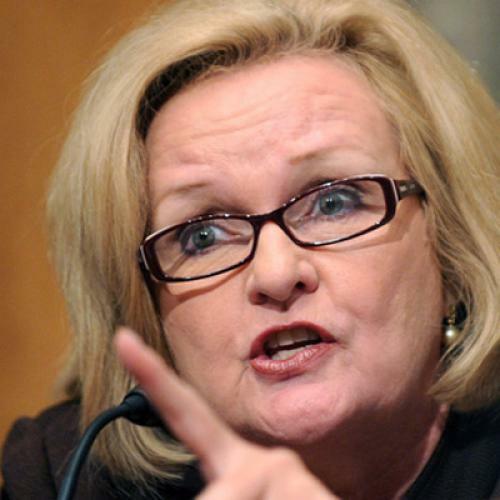 and Claire McCaskill (D.-Mo.) put forth an alternative that would pay for the tax cut with a millionaire tax surcharge that exempts small business, but of course the GOP doesn't really oppose raising taxes on millionaires because it would hurt small business. (It wouldn't, anyway.) It opposes it because millionaires are its constituency. So Senate Minority Leader Mitch McConnell said no.